Barcelona are quietly considering a future bid for Coutinho, but unlike with Luis Suarez and Javier Mascherano before him, we’ve told the Catalans, in no uncertain terms, that he’s going nowhere. According to the Echo, we’ve informed the Spaniards that we will not even enter discussions, regardless of the kind of fee on offer. Coutinho has three goals in three games, refinding his early season form which saw him rated as a Player of the Year contender before injury cruelly struck him down before Christmas. Neymar consistently taps up our no.10, but crucially, Coutinho signed a very lengthy contract extension in January, and is not pining for a move like the South Americans who made the same switch a few years back. When on song, he’s our best player, capable of producing moments of sheer magic at any point in a match. 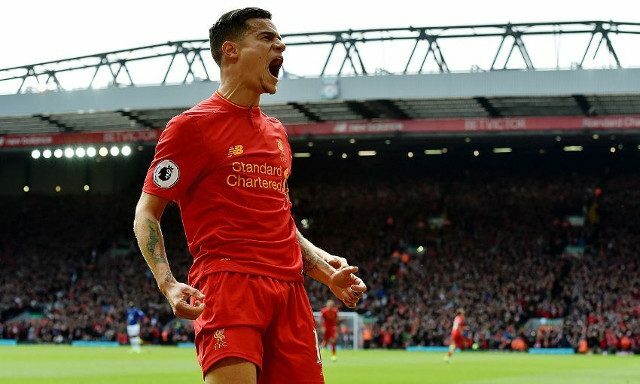 Coutinho’s relationship with Roberto Firmino in the final third is particularly pleasing, and the Brazilians are likely to return to the starting XI for today’s trip to West Brom, after coming off the bench to win us the game against Stoke.